Some people like to make art out of garbage. Some people like to make art out of money. Other people like to make art out of food. Or even dead animals. Jim? He does skulls. 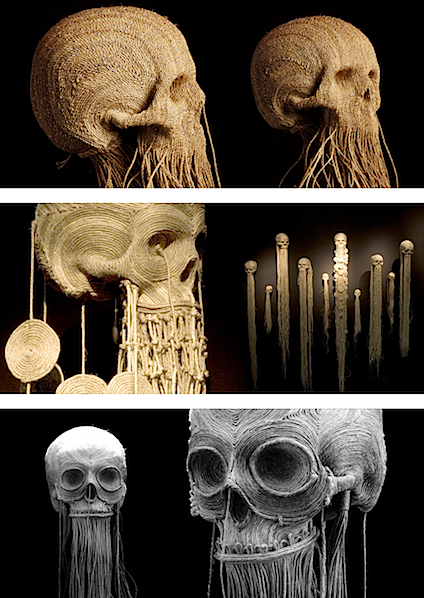 They mostly seem to be created using rope/cord/hemp material (I can't find the material he actually uses), but there are other various kinds of skull sculptures, too. The work is intricate and detailed, so even if skulls might not be your thing, check out the art work involved.